1. Use two-sided printing to save paper. 2. Use software like the Lexmark Toolbar to print only the Web pages you need. 3. Share printers in the home or office through wireless networking technology. 4. Look for the longest available printer warranty to extend its life cycle. 5. 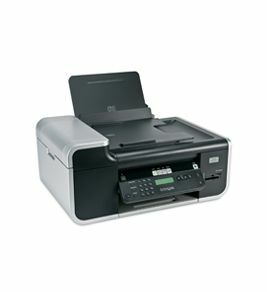 Improve printer efficiency by switching the device off after use. 6. Print in draft mode to reduce the amount of ink used. 7. Use high-yield cartridges for a higher yield of ink or toner, resulting in fewer cartridges to manufacture and recycle. 8. Take advantage of manufacturers' free cartridge recycling service. 9. Recycle your printed pages and use paper with recycled content. 10. Return the printer to a dedicated collection point. The LCA study is a "cradle to grave" approach, taking into account all natural resources and energy used to extract the materials in the printer, to manufacture and distribute it to the customer, to use during the lifetime (including paper and cartridge manufacturing, use and disposal), and to recover and recycle the printer at the end of life. Visit www.lexmark.comfor more information.